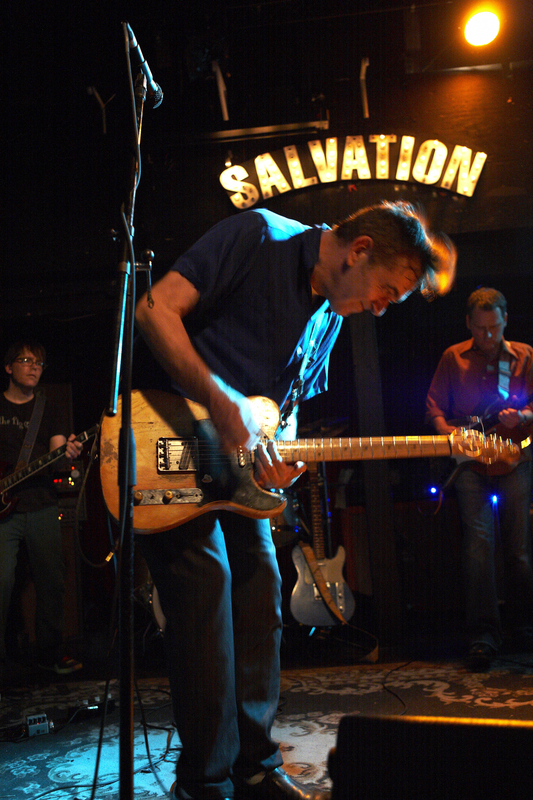 Indie-rock guitar god Tommy Keene plays The Iridium on Sept. 12 | Will You Miss Me When I'm Gone? Timing really is everything. If Tommy Keene’s new album had been ready just two months sooner, he would have been touring in July. And if Keene — one of the iconic guitarist and shockingly overlooked songwriters of ‘80s indie rock — had been touring in July, he surely would have been on the schedule to play at Maxwell’s during the Hoboken music club’s final days. “It’s too bad my tour was a little later, or I might have tried to get on one of those last shows. We played there [Maxwell’s] quite a bit,” Keene told Will You Miss Me When I’m Gone? recently by phone. “I used to read the New York Rocker in the early ‘80s, like ‘81, and I used to read all about this place. And it seemed like this secret, special, VIP kind of place that people would go to,” he recalled. It’s too bad, because the classic Keene-penned tune “Places That Are Gone” would have been a fitting tribute to the final days of Maxwell’s. Tommy Keene’s new album, Excitement At Your Feet, will be released on Sept. 17, 2013. Now that the Maxwell’s music room has gone dark, the 55-year-old is putting his six-string talents to work at The Iridium in Manhattan on Thursday, Sept. 12. That Midtown room’s reputation is indelibly linked in many minds with the late jazz guitar wizard Les Paul. But Paul (who name graces the Gibson guitars and basses favored by many rock ‘n roll artists) often invited rockers to play with him during his long residency in the club, and its stage has often featured other rock guitar stars. The underappreciated guitar god has been based in Los Angeles since 1988, but he’s Maryland born and raised, and honed his craft playing East Coast clubs like Maxwell’s and the 9:30 Club in Washington, D.C.
During his long career, Keene cranked out nine studio albums full of songs that should have been hits, but never quite made it. For many who frequented clubs that favored indie rock in the 1980s, the songs left were hits — leaving an indelible impression on a generation of open-minded music lovers. But almost every one of those albums included a cover song. Keene rarely chose to cover hits — he just picked tunes that somehow spoke to him. This time around, he decided to do a whole album of covers, and dubbed it Excitement At Your Feet, due out on Second Motion Records Sept. 17. The collection takes its title from a line in a song from The Who’s Tommy — a song that Keene didn’t even include in the album. What he did put together is a collection of 11 tunes, including another Who song, “Much Too Fun” and other familiar, not-quite-hits from bands including the Flamin’ Groovies (“Have You Seen My Baby?”), the Bee Gees (“I Laugh In Your Face”), Big Star (“Nighttime”), along with New York City punk band Television (“Guiding Light”) and even Roxy Music (Out Of The Blue”). For an artist as original as Keene, and one so deep into his career, a covers album may seem like an odd route to take. That explains why Keene has so many solid covers in his bag of tricks. But it doesn’t answer the other question. “Why did I do this? I never really stopped writing songs. But after 5 or 6 straight studio records in a row, I decided to do something different,” he said. “I just basically sat down for a week with my entire record collection. I knew of a couple songs right off the bat that I wanted to do,” he said. “But there was a list of about, maybe, a hundred. The songs that made the cut were ones that I thought I could pull off vocally. It’s really kind of a fine line between imitating the song and trying to make it your own. I didn’t worry too much about trying to reinvent the song, which is what a lot people to for covers. … I wanted to honor the song but I wanted to give it my distinctive stamp on it without going too far in any direction. Keene spoke to me by phone while visiting Maryland to celebrate the 91st birthday of his father — the man who planted the seed of Keene’s desire to move west. “I always had a fascination with the West Coast because, in the ‘60s, when my older brother and I were little kids, my dad worked for a company out there and he would take these business trips and bring us along. It was sort of a magical place, it was palm trees, and even the food was different, and Disneyland, and the desert, and the ocean and stuff,” he explained. So he moved out, settled in and never left. Tommy Keene plays at 8 p.m., Thursday, Sept. 12 at The Iridium, 1650 Broadway (51st St.), Manhattan. Reservations: 212-582-2121. Tickets are $25. This entry was posted in Concerts, Music, News, Pop and Rock and tagged New York City, The Iridium, Tommy Keene. Bookmark the permalink. Pingback: Come Laugh in the Dark with Tommy Keene this Thursday at The Bowery Electric | Will You Miss Me When I'm Gone?